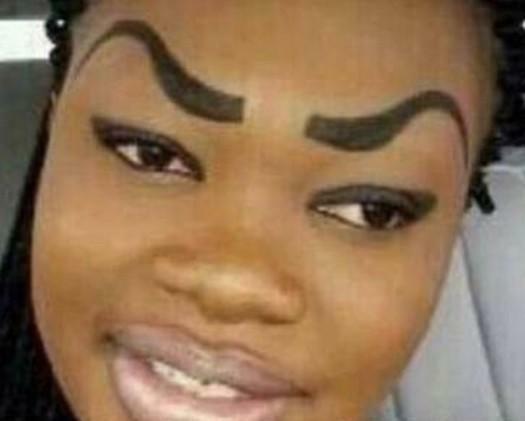 BlackCleopatra: Eyebrows ‘On Fleek'... Or Not?! 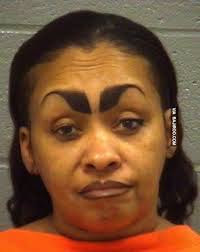 Eyebrows ‘On Fleek'... Or Not?! 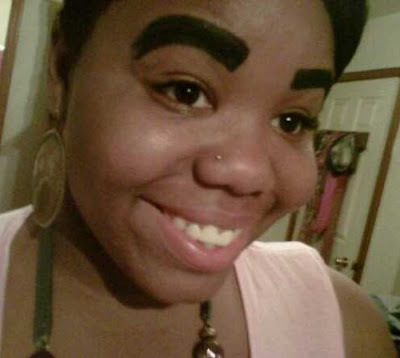 If you have not seen black girls/women with eyebrows like this, then thank your God! Wow! What can I say? Now, I am not one to judge anybody on their personal choices, provided those choices do not harm me or my loved ones.... BUT THIS HARMS ME AND MY LOVED ONES! PLEASE STOP IT!! I confess, that I am definitely no make up guru and I definitely rely heavily on YouTube for my make up knowledge, but even I am not this bad! Come on girls.... If you or anyone that you know commits this crime against black women's faces... please report (yourself) to your nearest make-up police! Lol! 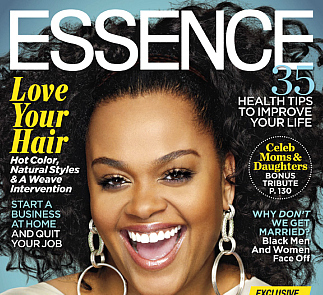 Trust me, I have support from the good ladies at Essence magazine who to my surprise had actually covered this topic *breath sigh of relief*. Let me hide behind them and tell you what THEY say... But before I do that, for those of you who are looking at the pictures quizzically, like huh what's wrong? (Yes that's you mum...) let me explain what the ‘trick' is. 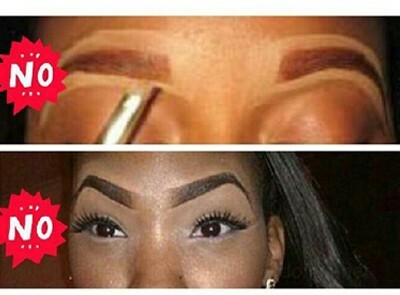 So, gone are the days when black women used black eye pencil to draw on their brows (thank God) and say hello to the latest popular method of getting those eyebrows ‘on fleek'... concealer! This method is not actually new at all. Apparently make-up artists have been using this method for years in order to perfect eyebrows. Basically, a make-up artist will use concealer to lightly highlight the area surrounding the brow in order to create a sharper, more defined brow outline. 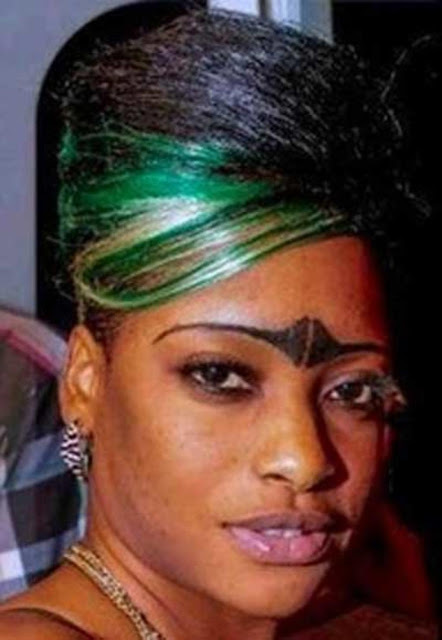 However, Briana was also kind enough to provide some tips on how to get a good looking brow using the concealer trick. 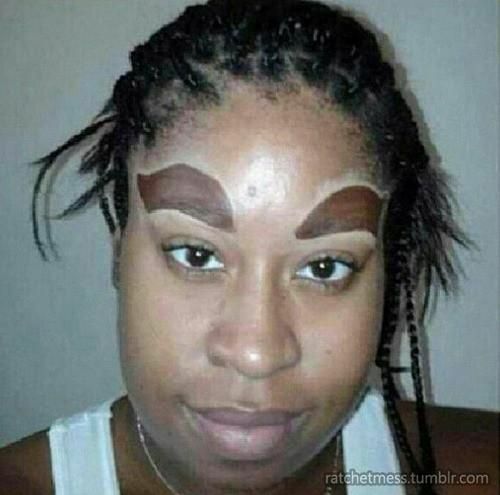 In the meantime, let me leave you with some funny pics of brows that I found on the Web. Hilarious! Sisters, we love you, but noooooo noo no! Lol!